OLIVERS FOR DOGS There are 51 products. 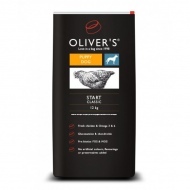 OLIVER’S ADULT CHICKEN CLASSIC for dogs is a healthy and delicious, complete and balanced high quality diet for dogs. 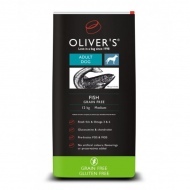 OLIVER’S ADULT CHICKEN CLASSIC contains a high level of chicken and omega-3 and omega-6 fatty acids in correct and balanced amounts. 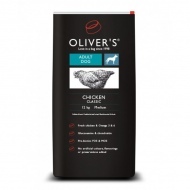 OLIVER’S ADULT CHICKEN CLASSIC for dogs is a healthy and delicious, complete and balanced high quality diet for dogs. 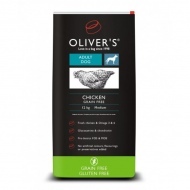 OLIVER’S ADULT CHICKEN CLASSIC contains a high level of chicken and omega-3 and omega-6 fatty acids in correct and balanced amounts. Complete pet food for dogs OLIVER'S ACTIVE GRAIN FREE is a complete and balanced high quality diet for adult dogs that require a higher energy density diet and is based on our delicious grain free recipe. Complete pet food for dogs OLIVER'S ACTIVE GRAIN FREE is a complete and balanced high quality diet for adult dogs that require a higher energy density diet and is based on our delicious grain free recipe. Natural and crunchy snack. 100 % natural treat made of dried meat. Ideal for training, shows and everyday walks. Natural and crunchy snack. 100 % natural treat made of dried meat. Ideal for training, shows and everyday walks. Natural & crunchy snack. 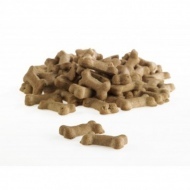 A delicious dried natural product that your dog will love to munch - can help reduce the formation of tartar. Natural & crunchy snack. A delicious dried natural product that your dog will love to munch - can help reduce the formation of tartar. A delicious crispy bite that your dog will love – can help reduce the formation of tartar. Suitable for medium to large breeds. A delicious crispy bite that your dog will love – can help reduce the formation of tartar. Suitable for medium to large breeds. 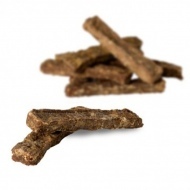 Natural & crunchy snack A 100% natural treat made of dried chicken meat. Ideal for training, shows and everyday walks. 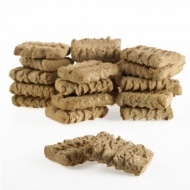 Natural & crunchy snack A 100% natural treat made of dried chicken meat. Ideal for training, shows and everyday walks. 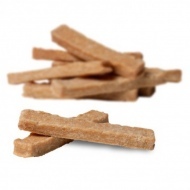 Crunchy & delicious snack A delicious crispy bite that your dog will love -can help reduce the formation of tartar. Suitable for small to medium breeds. 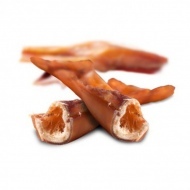 Crunchy & delicious snack A delicious crispy bite that your dog will love -can help reduce the formation of tartar. Suitable for small to medium breeds.